The Puyallup Antique District was interviewed by a sister news station to KING 5 NBC / NWCN TV as part of their “Community Roadshow” program. This short video shares more about what you’ll discover in downtown Puyallup. We think there’s an easier way to find treasure! Check out our TV commercial, produced by Craters of the Moon, as viewed on networks including HGTV, Food Network, and a custom version supporting underwriting during Antiques Roadshow on PBS. The Puyallup Antique District holds events throughout the year. We’re walking distance from beautiful Pioneer Park and the Puyallup Main Street Association’s Saturday Farmer’s Market from April through October. 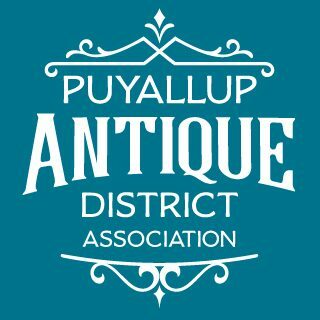 If you’re visiting Puyallup for the Christine Palmer Antique and Collectible Shows every Winter and Fall, be sure to stop by our district just North of the Puyallup Fairgrounds.